The Swedish Lotto Plus – “The Winner Takes It All!" 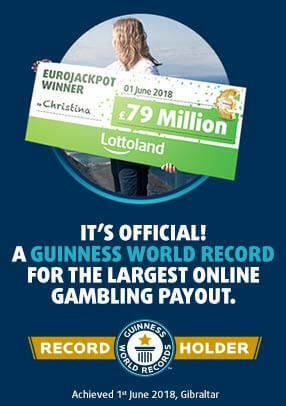 Like 7-from-35 style lottos like the Swedish Lotto? Our exclusive Swedish Lotto Plus game gives you the exact SAME (if not higher) jackpots, the exact SAME odds of winning, the exact SAME format, on the exact same days. The Swedish Lotto Plus is a great all-round lottery. It offers hefty jackpots for a small price, with a single bet quick pick costing just £1! For regulatory reasons, we cannot offer you a bet on the Swedish National Lottery Lotto. However, because we believe strongly in giving our customers innovation, better products and choice we thought we'd take 7 numbers from the Swiss Loto Express. Swedish Lotto Plus offers a whole lot of wins and added features for a low price making it ideal for lottery enthusiasts of all stripes. If you fancy playing a simple Quick Pick game it costs just £1 a line. If, on the other hand, you’re a lotto pro looking for a multi-faceted and feature-rich game the Swedish Lotto Plus gives you lots of added options to explore and lots of different ways to win! Simply pick seven numbers from 1 to 35 or select the QuickPick option (Quick+1). After this, just click "Place Bet" to proceed to the checkout.